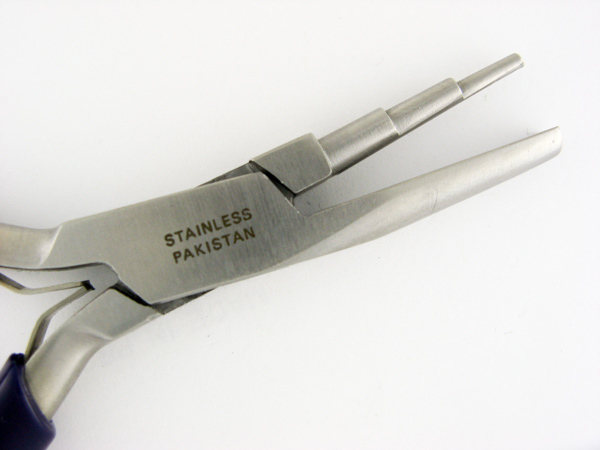 Choosing the right jewelry making pliers depends on your hands and what is most comfortable for you. We all start out with cheap, shinny, stainless steel pliers that mare and scratch our silver wire. I suggest you invest in a good set of pliers early on in your jewelry making career. You will experience less frustration with quality tools. Lindstrom jewelry making pliers are my favorite because they are light weight, fit my small hands, and are quality tools. Lindstrom pliers have precision jaw alignment at the tips with sturdy box joints. They are forged from high-grade steel, and then hardened. I prefer the white handled pliers but Lindstrom also makes RX pliers with an ergonomic grip. My search for a precision pair of round nose jewelry making pliers led me to Linstrom. I bought cheap round nose pliers that had a flat side on the inside of the jaws. Every time I wanted to make a round loop I got a flat spot that drove me nuts! Round nose pliers should be round! The jaw on these Lindstrom round nose pliers tapers to a tiny tip for making those extra small loops, curves and bends in your wire. I mark my pliers with a fine sharpie marker so that my loops are always the same size. Some people mark their pliers with a piece of tape, whatever works for you. Extra long round nose jewelry pliers come in handy for making bails on pendants, reaching into tight spaces, and making tapered coils. These aren’t Lindstrom pliers but they are made in Germany with hardened steel, sturdy box joint, leaf springs, and plastic handles. 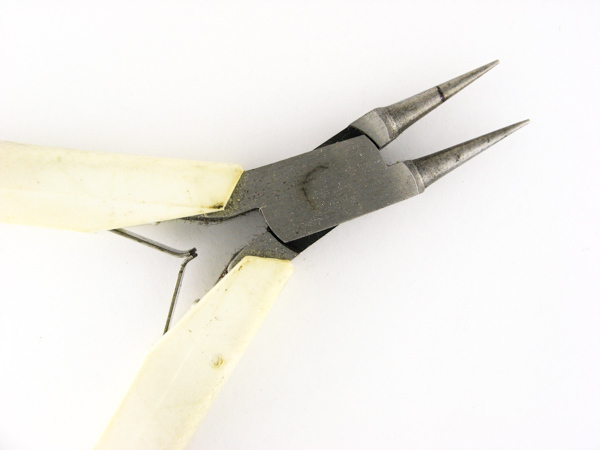 Stepped wire wrapping pliers are ideal for easily making different sized loops. I don’t use mine very often but they do come in handy. There are a lot of different forming pliers you can buy but you need to ask yourself, are you really going to use them? Chain nose jewelry pliers are flat on the inside of the jaw and have tapered ends. Chain-nose pliers are great for opening and closing jump rings, crimping wire, closing bead tips, and making bends. Flat nose jewelry pliers are just that, flat. I use my flat nose pliers for holding things while using another tool in my other hand. 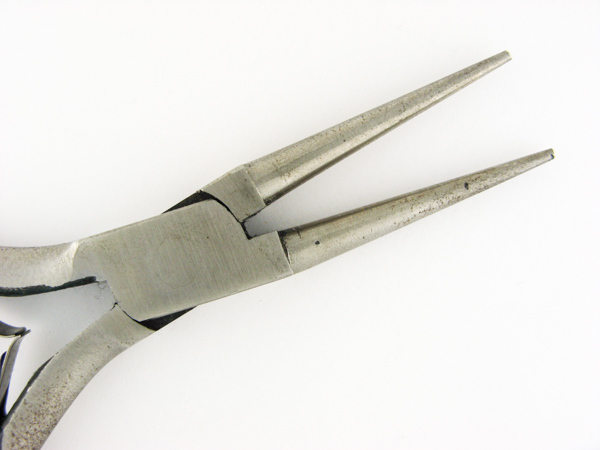 Flat nose pliers are used for bending and forming, and lightly crimping wire wraps on a bundle of wires. 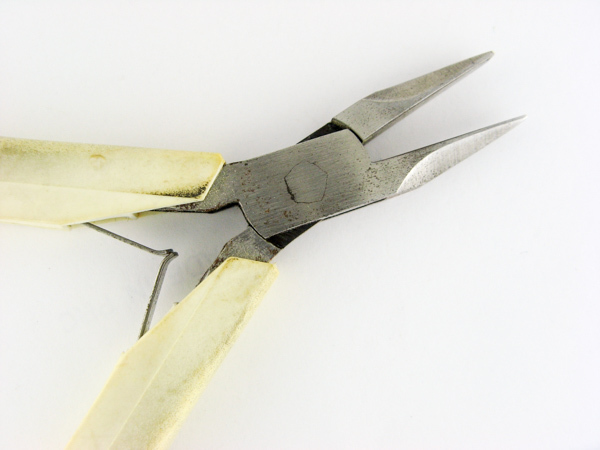 These are the basic pliers you will need to get started making bead and wire jewelry. 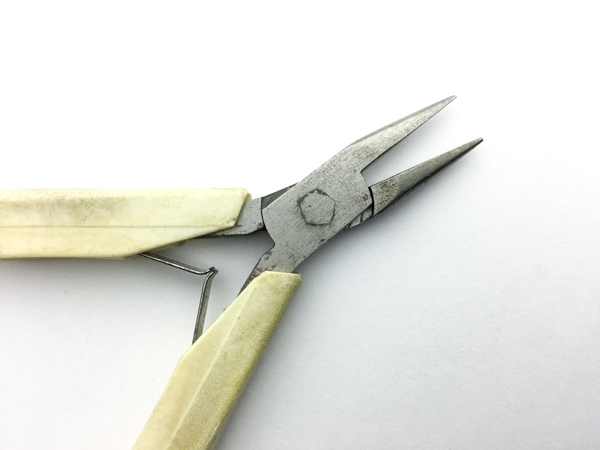 Check out the page on super flush cutters to help you decide which type of cutters is best for the gauge of wire you'll be working with.